A community trauma healing forum in Mount Elgon region. 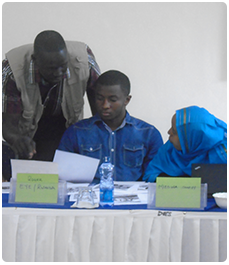 We had practioners from different places attend the Trauma awareness and Healing symposium held in Nairobi,Kenya. The Coalition for Peace in Africa (COPA) is an African network of peace builders whose purpose is to promote peace, justice, human rights and development through capacity building, advocacy, research and documentation. (COPA) is a network of peace builders in Africa formed in 1995 when a group of concerned African peace practitioners met in Kenya to exchange their insights and experiences on the prevention of the escalation of violent conflicts in Africa. A continent anchored on a culture of peace, justice and equality. 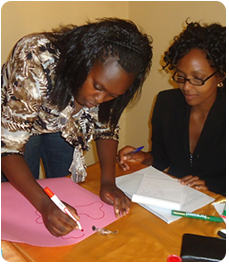 Under this programme, COPA seeks to build capacities of women to undertake leadership in political and peace building. Kudos to the facilitators. You did an awesome job in moving us (me) from the near timid situation that I was in to a more confident person that I am now, spread across other parts of Africa. I admire their mode of facilitation, especially how they designed the sitting structure, groups and their kindness in responding to trainees’ feedback. COPA is a good institution for learners in peacebuilding programs in Africa. Thank you to this training. I will now look at every programme, issue and situation through a gender lens and recommend action. 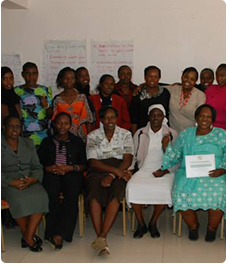 I learnt how I can do gender mainstreaming in my programming using CEDAW and UNSCR 1325. It has been an interesting opportunity. I learnt a lot from colleagues perspectives in local community conflict management methods.